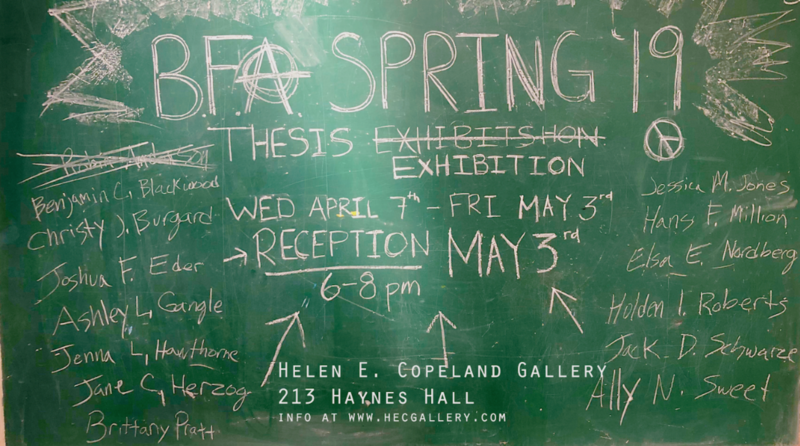 The Helen E. Copeland Gallery is located in the School of Art at Montana State University, Bozeman. The gallery provides an exhibition space which intends to expose students, faculty and the community art audience to a diverse range of contemporary art, as well as historically important expressions in art. The gallery also hosts select student exhibitions of both undergraduate and graduate artwork. The Helen E. Copeland Gallery is a member of the Museum and Art Gallery Directors Association (MAGDA) and has frequently curated touring exhibitions. The HECG is also a member of the Association of Academic Museums & Galleries (AAMG) and Montana NonProfit Association (MNA). The Helen E. Copeland also possesses an amazing archive. Including prints by Goya and Rembrandt, Philip Pearlstein, and Vito Acconci; paintings by Will Barnett and Grant Wood (both to be authenticated); the archives boat an amazing collection of Chinese and Japanese woodblock prints, Asian clothing, and textiles from across the world. We are currently documenting our archives for an online presence that will be developed during the 2016/2017 school year. We have many great finds and great mysteries within our walls. For more information, please contact the Gallery Director. For more information on the School of Art at Montana State University, please visit: www.montana.edu/wwwart. For details on how to get to the gallery please click here for a detailed, interactive campus map. The gallery is located in Haynes Hall. Downloadable PDF of the MSU Campus Map – Haynes Hall. Haynes Hall is highlighted in yellow, the nearest adjacent parking lots are highlighted in blue and the University Campus Police, where one may purchase daily parking passes, is highlighted in red. Please note that the parking passes are required for parking during the business day (6AM – 6PM). Parking in these lots are free after 6PM. HECG Hours: Monday – Friday, 9AM – 5PM when classes are in session/ Closed on weekends.